I'm new to this site and it seems to be a rather buys website with lots of responses. 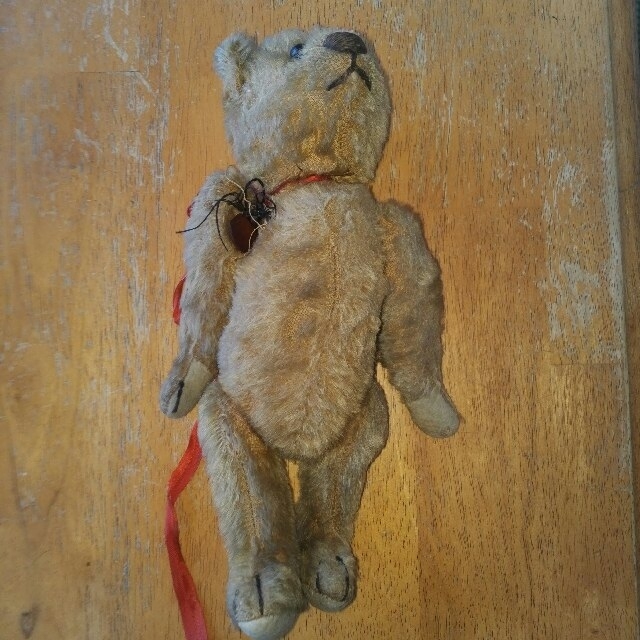 I joined a forum called "teddy forum" and no one ever replies to new threads or messages. 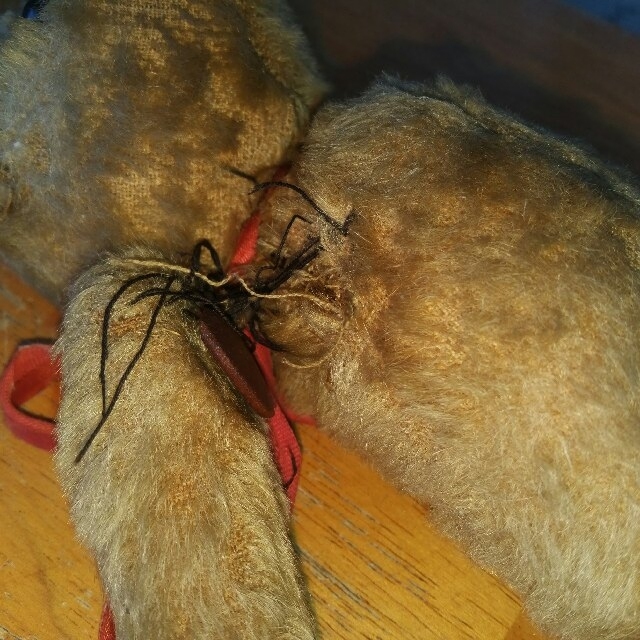 I would like help identifying and 'aging' my bears, i have 40 something antique bears which i have bought online( or in carboot sales) fixed up, and given them a home. I never sell my old bears, i just give them a home and a helping hand. 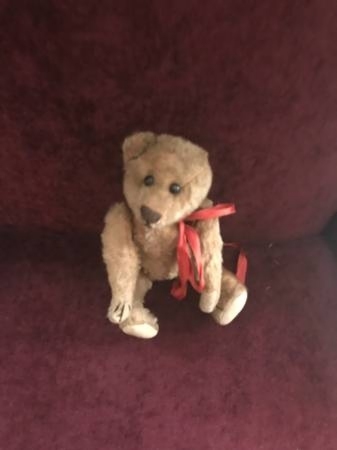 Are their people on this site that could help me to work out how old my bears are and what make they are. I'm a bear collector as well. If you post pictures of your bears, I might be able to help. 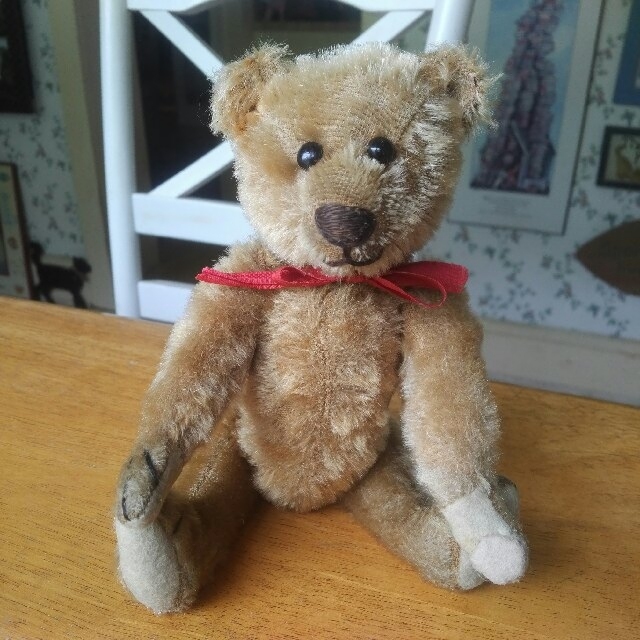 I have lots of old bears, and there are plenty of knowledgeable people here that may know. Here's one I just had restored, before and after....I don't know who made him. I know he's not a Steiff. He has his original nose and mouth stitching and original eyes, but his ear was missing and the person who restored him replaced it. If you or anyone thinks they recognize him, let me know. Hi, Corneal . . . I think most teddy bear forums have passed their prime times. Our forum was once very active, but now has only a few members who check in regularly. Those of us who are still here will try to help you with identification if we can. Post your photos in the "General" section, as more people look at it, I believe. Nice to have you!